The URO-MAX comes in five different models, each with different movements. Click the tab “Models” to learn more. URO-MAX 1 offers Height adjustment but no other adjustments (28″ to 40″). URO-MAX 2 offers both Height and Lateral Tilt adjustments (tilt of +/- 170 ). URO-MAX 3 offers Height (29″ to 41″), Lateral Tilt (+/- 170 ), and Trendelenburg (+/- 200) adjustments. URO-MAX 4 offers Height (30″ to 40″), Lateral Tilt (+/- 170), Trendelenburg (+/- 200), and longitudinal travel (10″, +/- 5″) adjustments. URO-MAX 5 offers Height (32″ to 42″), Lateral Tilt (+/- 170), Trendelenburg (+/- 200), longitudinal travel (10″, +/- 5″), and lateral travel (10″, +/- 5″) adjustments. 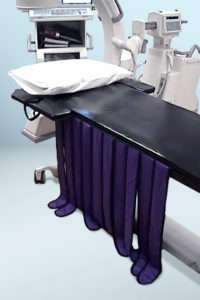 For all URO-MAX series imaging tables that come with motorized movements, the system includes a remote control for use when positioning the patient.The height buttons support raising and lowering the table top as shown at right. 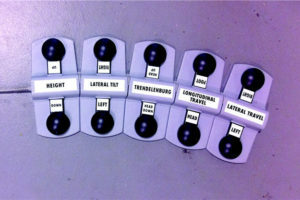 The Lateral Tilt buttons control the lateral angle of inclination. 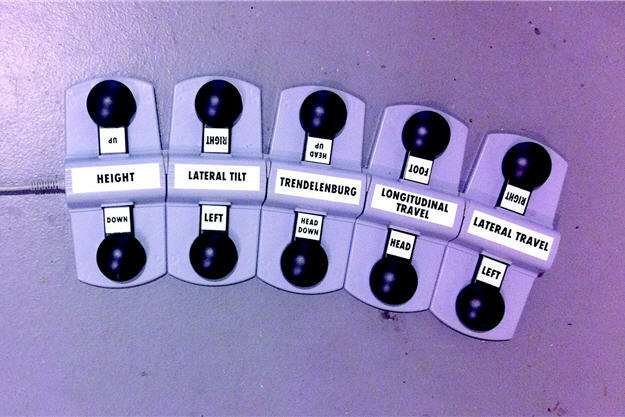 The Trendelenburg buttons control the angle of inclination of the head end. 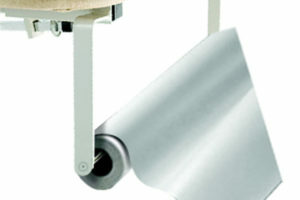 The longitudinal travel moves the table top in the longitudinal direction as depicted at right. And, finally, Lateral Travel moves the table top in the lateral direction. URO-MAX series imaging tables with motorized movements require 120 VAC power for operation.